Another Beautiful Sunday Morning to you and all the Mother's out there celebrating their day! 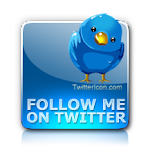 This is Holly with a catch up blog and our Sunday Inspirations Blog Hop and candy. This week the Sensational Sunday Sweet Spot was on Dangina's Blog. The Random.Org numbers are 3. That's you Kathya!!! 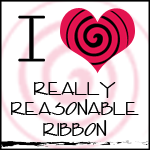 Who Said, "What a sweet idea for a gift card holder, Dangina! Great coloring of your image, and perfect selection of papers and flowers. 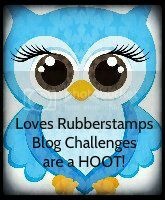 Congrat's Kathya, Please send me an email at lovesrubberstamps@yahoo.com by May 4th and I will send you your code for a $10.00 gift voucher to the Loves Rubberstamps store! Before we get started on the hop, I wanted to share a couple cards with you today. I love these uptown girls and how Ceal paper pieced the little dresses, so fabulous. Remember if you do not see the one you are looking for in the store, be sure to drop Laura an email (lovesrubberstamps@yahoo.com) so she can let you know when she can get the one you are looking for. Same goes with any of the companies she carries. Now Let's go to the hop!!! Awe both cards are very Adorable!!! Congrats on your new doggie too!!! 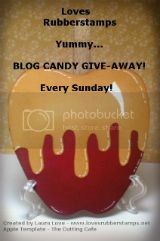 Sunday Inspiration Blog Hop and Candy! 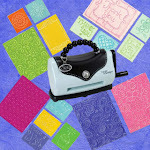 Crafty Sentiments Designs SNEAK PEEK!! !